Last month you were probably busy watching celebrities jump in the water with great white sharks (Carcharodon carcharias) and tiger sharks (Galeocerdo cuvier) and then attach satellite tags on their fins to track their movements. But while many were glued to their televisions for Shark Week, an important step in shark conservation was happening in a small laboratory in Hong Kong. I was a part of a team that analyzed fins from Hong Kong’s market, and we found that protected sharks are still frequently being traded. That’s a big problem, as one of the leading threats to sharks is the trade of their fins, and Hong Kong is a leading importer. The work to protect sharks and other wildlife threatened by trade started back in 1973, when the Convention on International Trade in Endangered Species of Wild Fauna and Flora (CITES) was formed. Every three years since then member nations and organizations meet at the Conference of the Parties. Proposals are made then to list various wild species on different lists called appendices that either ban (Appendix I) or control (Appendix II) their international trade. The first shark species listed on CITES Appendix II were whale sharks (Rhincodon typus) and basking sharks (Cetorhinus maximus) in 2001, followed by great white sharks in 2004. After that CITES parties were unwilling to list more shark species on its appendices for almost a decade. But after years of data collection and advocacy, the parties took a sharp turn in the right direction and, in the past six years, have listed nine commercially important shark species on Appendix II. Exporting countries now must obtain permits to prove that trade of sharks listed on Appendix II is legal, traceable and not detrimental to the survival of these species. Scalloped hammerheads (Sphyrna lewini), smooth hammerheads (S. zygaena), great hammerheads (S. mokarran), oceanic whitetip sharks (Carcharhinus longimanus), porbeagle sharks (Lamna nasus), silky sharks (C. falciformis), pelagic thresher sharks (Alopias pelagicus), bigeye thresher sharks (A. superciliosus) and common thresher sharks (A. vulpinus) are now on that list. They were known to be among the most common sharks found many small- and large-scale fisheries around the world and on the international shark fin market. But a big question remained unanswered: Are hammerheads, porbeagles and oceanic whitetips still common in the international fin trade following their CITES implementation started in late 2014? This question has now been answered in our new study, published in Conservation Letters. Our main objectives were to assess the global position of Hong Kong as legal importer of fins from CITES-listed species according to trade records and to evaluate the relative importance of these species in the Hong Kong fin market after listings were implemented. Silky and thresher sharks were not considered for this study because enforcement for these species has not been implemented in Hong Kong to date. We searched the CITES Trade Database for all legal importations of CITES-listed shark species in 2015, the first year of implementation. 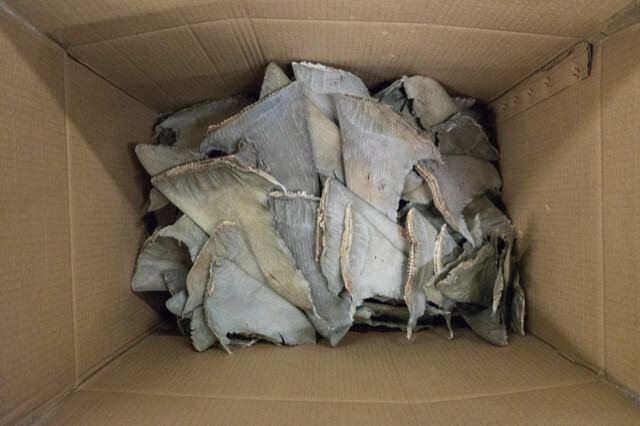 Hong Kong was the top legal importer of CITES-listed shark fins with about 22,000 kilograms (nearly 25 tons) from six different countries in 16 individual shipments. This relatively small amount in these listed species contrasts with the more than 5.5 million kilograms (6,000 tons) of shark fins from all species entering Hong Kong in 2015 alone. Shark fins ready for testing. Photo © Diego Cardeñosa, 2018. All rights reserved. If records are an accurate representation of imports, we would expect CITES-listed species to be rare among fins being processed in 2015 and 2016. To test this hypothesis, we gathered in that small laboratory to genetically identify 9,200 processed shark fin samples collected from the retail markets of Hong Kong between February 2014 and December 2016. 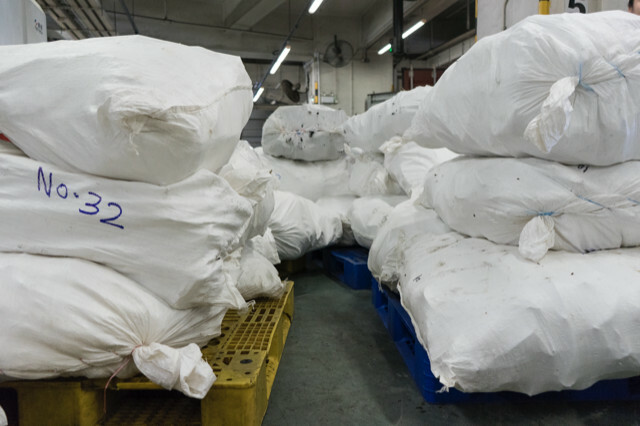 Bags of shark fins. Photo © Diego Cardeñosa, 2018. All rights reserved. 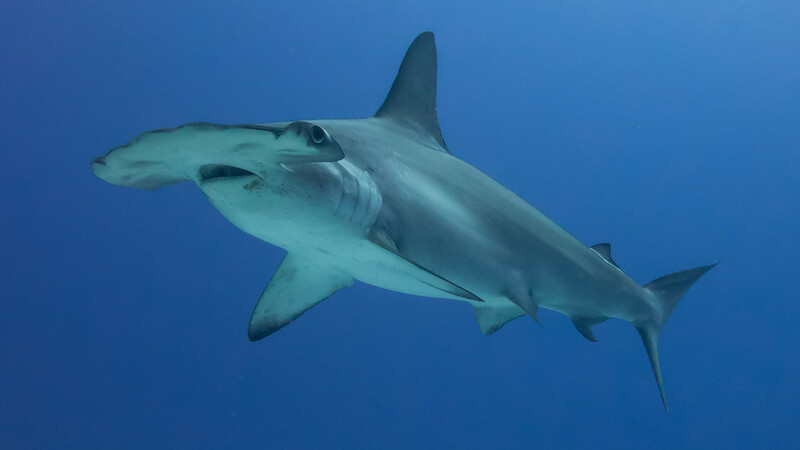 This analysis revealed that scalloped hammerheads and smooth hammerheads — whose trade should be highly restricted — were consistently the fourth- and fifth-most-common species in the retail markets. Official numbers suggested they should have been much lower down the list. The difference between legal importation figures and the actual prevalence of these species in the retail markets underlies the fact that nations exporting to Hong Kong known to land protected species were not among those reporting trade to CITES. This suggests that compliance with reporting requirements was low in the first years of implementation. What happens now? Nations around the world with large exports and imports now face the challenge of enhancing their capacity to monitor this high-volume trade. Our study highlights the urgent need to assist nations that are struggling to monitor the high-volume international shark trade. This is a top priority for many nations since failing to meet CITES requirements can lead to the application of international trade sanctions. Several important steps, such as fin identification workshops, have already been taken to improve the quality of inspections in Hong Kong and other key shark trading countries. Nevertheless, the relative importance and high volume of CITES-listed species in trade suggests that this capacity to monitor the trade is likely already exceeded. To increase inspection efficiency in major trading hubs, rapid and cost-effective wildlife forensics tools are being developed for sharks and other endangered species. There is a key role to be played by developed countries and other international bodies, such as non-governmental organizations and industries, to help developing countries in the transfer of such technologies and building capacity. In recent years shark conservation has been subject to public attention and there is a positive momentum for shark trade management by CITES parties. This has the potential to trigger international cooperation to ensure a more effective implementation of CITES listings for sharks — for the benefit of all protected species. © Diego Cardeñosa, 2018. All rights reserved. was born in Colombia where he studied Biology and did his Masters in Biological Sciences at the Universidad de Los Andes in Bogota Colombia. 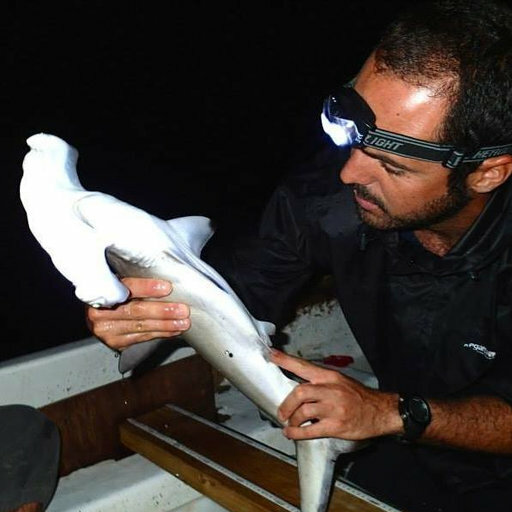 Currently he is doing his Ph.D. at Stony Brook University in Long Island, New York, focusing on developing protocols to monitor the international shark trade and enhance our capacity to enforce international rules for trade of endangered species.